Upper Dicker, Nr Hailsham, East Sussex, . Celebrate 60 years since the priory was handed over to the Society. A weekend of music, activities and trails linked to its social past. Lower Road, River, Dover, Kent, . 214 Mill Street, Leek, Staffordshire, . The Hill, Cranbrook, Kent, . From 11am-4pm on both days and will be milling flour from 2pm and refreshments will be available. Station Road, Petworth, West Sussex, . Windmill Hill, Argos Hill, Mayfield, East Sussex, . Crux Easton Wind Engine, Crux Easton, Hampshire, RG20 9QF. This John Wallace Titt restored wind engine will be open from 10.30am to 4.00pm. Windmill Hill, Hailsham, East Sussex, . Mill Lane, Willesborough, Ashford, Kent, . A tribute to the 40s. Wartime artefacts, food, vehicles, dancing and music. Classic domestic, agricultural and military vehicles. 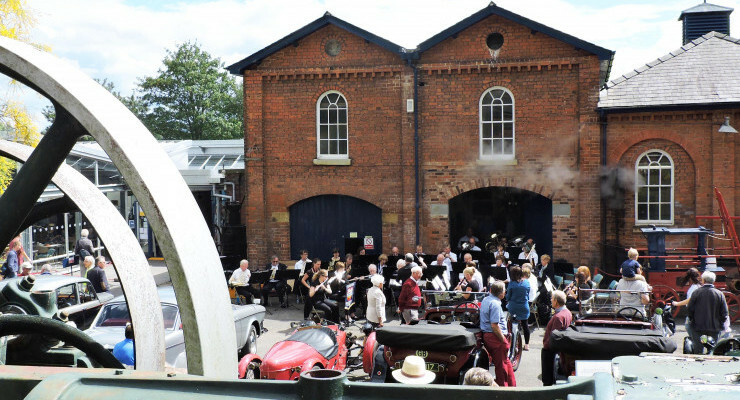 Historic vehicles and the Hereford Concert Band. 10am – 4pm. Stationary Engines, vintage vehicles etc. Craft stalls. (free entry to fair). BBQ in courtyard. Mill tours.